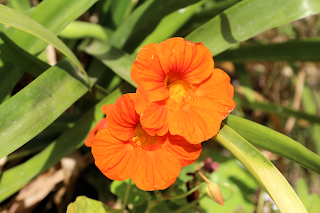 Orange Nasturtium Flowers. Flowers from my yard. Ventura, California.